After a little 2 week hiatus I am feeling refreshed and in the mood to blog and am ready to declare my next challenge! Mel and her SpendThrift Experiment are going to Paris!!! Originally I thought that I might have the opportunity to go to France through school but unfortunately that fell through. When I discussed my disappointment with my husband he amazingly suggested that we just go to Paris anyway! Ok, first of all who is this man posing as my husband and where is my real husband?! Second, if this actually is my husband I may need to take him in for a psych evaluation because taking your wife who is obsessed with fashion and is smitten with all things designer to the fashion capital of the world must qualify as insanity. 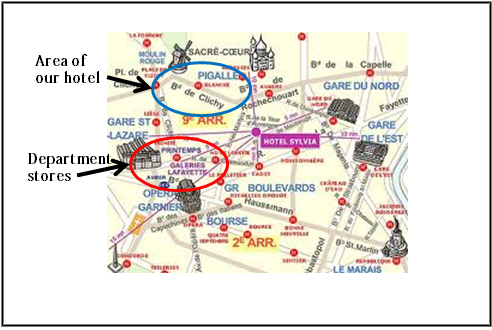 Third, we booked our hotel in Montmartre which is conveniently located next to the department stores…there must be some catch otherwise he has completely lost his mind! In his defense I am turning the big 3-0 in November (eek!) and he did mention that this would be a great way to celebrate my transition from the 2-something digits to the 3s (not that turning 30 actually bothers me, I figure that in my 30’s I’ll eventually be able to afford to REALLY shop! The glass is half-full here!). AND he did also point out that I am still broke and that Paris=being more broke so there won’t be any money to shop while we’re there (ha! ok, he does have a point there). He also pointed out that my credit card could conveniently be left at home by mistake…fat chance of that happening! Short of posting my picture in every boutique I don’t think that he’s going to be able to put a kibosh on my shopping. HOWEVER, the closest I’m probably going to get to Chanel, Christian Louboutin, or Hermes is leaving finger and nose prints on the glass of the storefronts (sniff!). Needless to say I am extremely excited about my trip! Now here’s my dilemma, I want to fit in while I’m there and not stick out like a tacky tourist! I understand and speak French so language isn’t a problem (of course my French accent is nowhere near a France French accent and I get tongue-tied and forget words when I’m nervous or excited so obviously no one will mistake me for a French woman…among other obvious reasons of course!). However, I would like the clothing that I wear to be chic, tasteful and practical for early October weather. What do you think? If you are fashion conscious, have been to Paris and have any input or opinions on what kind of walking shoes I should buy please let me know! I would appreciate any advice you can give! I just typed a long comment, and it deleted it. So, sorry, but this is going to be bullet points. 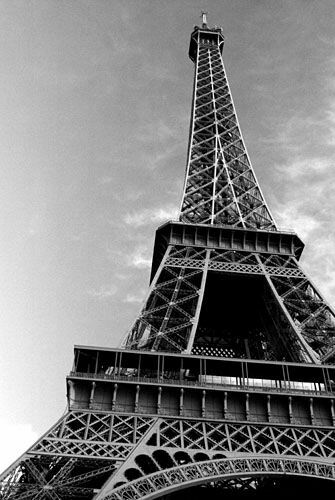 I absolutely adore Paris, it’s one of my favourite cities in the world. -first of all, have a fantastic trip! You will LOVE Paris. The locals appreciate if you try to speak French, as long as you don’t butcher the language, and it sounds like you’ll do fine! -for comfort’s sake, I suggest flats or wedge boots. I wore both all over Paris, and had no troubles. Bring heels if you’re planning to go out to eat. -I suggest inexpensive places like Payless or Urban Planet. I have flats from both that I’v worn extensively and have loved. THey look cute, but don’t last forever. Great way to try out new styles that you’re not sure of. HIghly recommended!! Also, by don’t last forever, I mean don’t last as long as leather flats. I’ve have pairs from both that I’ve worn non stop for at least a year, and they survived. Just be nice to them! They’re adorable, and are honestly soooo comfortable. Check it out! With $40 maybe you could get a couple of pairs, or save the money to shop in Paris! Wow, I spent ages writing a thoughtful comment to you, and trying to be helpful and you didn’t even approve it? Thanks so much. So glad I took the time. I am so sorry that your comments didn’t show up as approved! I had actually approved them and replied using my phone (WordPress is blocked at work) but I guess that they never showed up! It’s my fault for not double checking/noticing so please accept my apology! I absolutely appreciate your comments and input! Lesson learned that I should always check the webpage on my computer instead of just relying on my phone! Here’s take 2 on my reply! Thank you so much for your suggestions! 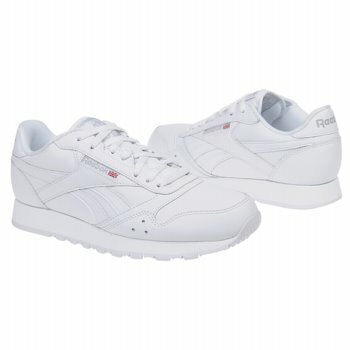 I have been very on the fence about Pumas and I have decided to take your advice and look for something less sporty. I haven’t tried Payless yet but I’m going to check them out tomorrow night. I think that my problem with flats is that I find they always stretch and the cheaper ones quite often give me blisters. Wedge boots could be a definite possibility though. I’ve also thought about buying a pair of motorcycle boots but I don’t know if I could rock that look. I’ve seen some girls pull them off with dresses but they tend to be girls with very long thin legs, I’m a little more muscular with short legs so I would probably look more like I actually belong on a motorcycle, lol.